Search found 4 matching products. 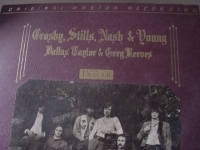 "Crosby, Stills, Nash & Young, Deja Vu - MFSL MINT MINUS CONDITION LP - NO LONGER AVAILABLE"
"Stephen Stills, ST - 200 Gram"
Stephen Stills - Stephen Stills - This Classic RECORDS OUT OF PRINT Audiophile out of print collectors find LP was mastered from the Original Session Tapes to 200 Gram Heavy Virgin out of print Vinyl. This was the only 200 gram heavy weight vinyl pressings ever of this title. One of the last sealed copies left in the world. THIS IS OUR LAST COPY FOREVER THESE MASTERPIECES HAVE OFFICIALLY GONE OUT OF PRINT FOREVER ON SEPTEMBER 1ST 2007. THESE AUDIOPHILE GEMS WILL GO THRU THE ROOF AS THE MOST VALUED PRESSING EVER ON VINYL. MYMUSICFIX SEES SOME OF THESE OUT OF PRINT 200 GRAM TITLES SELLING FOR $300+ IN THE OUT OF PRINT COLLECTORS MARKET - DON'T MISS OUT ON SOME OF OUR LAST COPIES FOREVER. Classic Records has proven to be an Audiophile Company second to none in the new millennium. These 200 Classic Records LPs are the only way a collector can verify that they own a 1st Edition AUDIOPHILE HEAVY VINYL pressings. Classic masterpieces have proven to be some of the most valuable out of print pressings in the vinyl collectors market. Enjoy being one of the last people in the world to own this 1st Edition sonic gem and rare collectors title to upgrade your vinyl collection What a tremendous "GIFT" this masterpiece of vinyl will make any true fan. 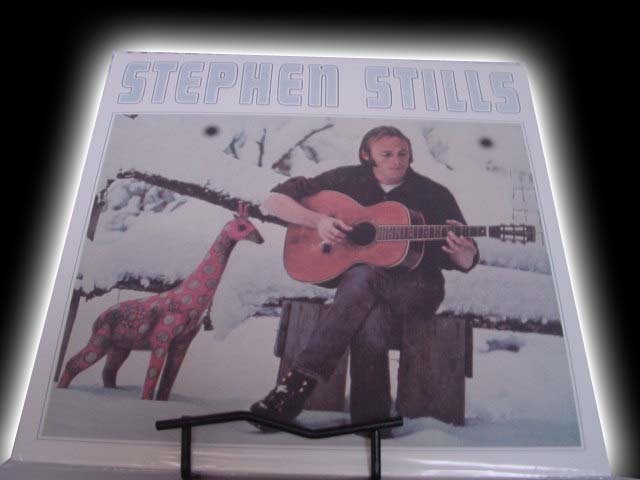 STEPHEN STILLS - STEPHEN STILLS - This Album was mastered from the Original Session Tapes to 180 Gram Heavy Virgin Vinyl by Classic Records and is the best Audiophile pressing ever With this 1970 Self-Titled solo epic, STEVEN STILLS like band-mates of CSN&Y had decided to explore other musical avenues. Features Jimi Hendrix (who died prior to the Albums' release & his last LP track ever) on OLD TIMES GOOD TIMES. The London Session also allowed Stills to finally team up with Eric Clapton on GO BACK HOME. This LP spawns the mega hit LOVE THE ONE YOU'RE WITH. The Album is a masterful mix of Southern California folk-pop sound that Stills helped forge, blended with the Latin, Swamp and Blues influences that he was ready to express. Also collaborating are John Sebastian - Rita Coolidge - David Crosby - Graham Nash - Cass Elliott. Engineered by Andy John and arranged in part by Arif Mandrun. You can see why this is one of those great cover to cover LPs from any era. ABSOLUTELY ONE OF THE BEST ALBUMS OF ALL-TIME. 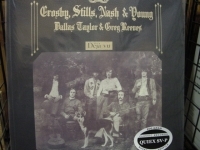 Stephen Stills released his self-titled in 1970 following the release of Crosby, Stills, Nash & Young's hit album Deja Vu. The recording features an array of guest musicians including Ringo Starr, Eric Clapton and Jimi Hendrix! Wow! Two guitar geniuses on one album! The 10 track collection includes "Love The One You're With". Features: o 200g Vinyl o Remastered from the Original Analog Master Tapes by Classic Records! Musicians: Stephen Stills, vocals, organ, steel drum, percussion, guitar, bass, keyboard, piano Booker T. Jones, organ, vocals Jimi Hendrix, guitar Eric Clapton, guitar Calvin "Fuzzy" Samuels, bass Jeff Whittaker, congas John Barbata, drums Dallas Taylor, drums Richie, drums Sidney George, flute, alto Rita Coolidge, vocals Priscilla Jones, vocals John Sebastian, vocals David Crosby, vocals Graham Nash, vocals Conrad Isedor, drums Judith Powell, vocals Larry Steele, vocals Liza Strike, vocals Tony Wilson, vocals Claudia Lanier, vocals Cass Elliot, vocals Shirley Matthews, vocals Selections: 1. Love The One You're With 2. Do For The Others 3. Church 4. Old Times Good Times 5. Go Back Home 6. Sit Yourself Down 7. To A Flame 8. Black Queen 9. Cherokee 10. We Are Not Helpless Recorded in 1970 at Island Studios, London, Wally Heiders Studio III & The Record Plant in Los Angeles, CA > International Buyers - Please Note: Import duties, taxes, and charges are not included in the item price or shipping cost. These charges are the buyer's responsibility. Please check with your country's customs office to determine what these additional costs will be prior to bidding or buying. Note: It's illegal to falsify customs declarations or mark an item as a "gift" in order to avoid customs fees INTERNATIONAL BUYERS NEED TO BE AWARE OF THE CUSTOM'S TAXES IN THEIR OWN COUNTRY AND KNOW THEY (AS THE BUYER) ARE RESPONSIBLE FOR CUSTOMS TAXES. OUT OF PRINT PRODUCT is IRREPLACEABLE and therefore NOT RETURNABLE. USA SHIPPING: We box/package protectively - Ship UPS Ground/Insured within Continental USA - Hawaii/Alaska by mail. We accept PayPal ONLY WITH CONFIRMED SHIPPING ADDRESS INT'L SHIPPING: We box/package protectively for safe world-wide shipping. When accepting PayPal, we ship ONLY via EXPRESS MAIL FULLY INSURED or PRIORITY MAIL FULLY INSURED - Because of Postal Regulations, EXPRESS MUST BE CHOSEN AT CHECK-OUT if SHIPPING TO U.K., CHILE, PHILIPPINES, SRI LANKA, QUATAR OR MEXICO. NNED TO CONTACT milena@mymusicfix.com for shipping fees in order to make payment to PayPal -- this site cannot calculate international orders - only for continental U.S.A. via UPS Ground/Insured International Buyers are responsible for their country's Customs Fees.